Salento is the gateway to a thousand possibilities. 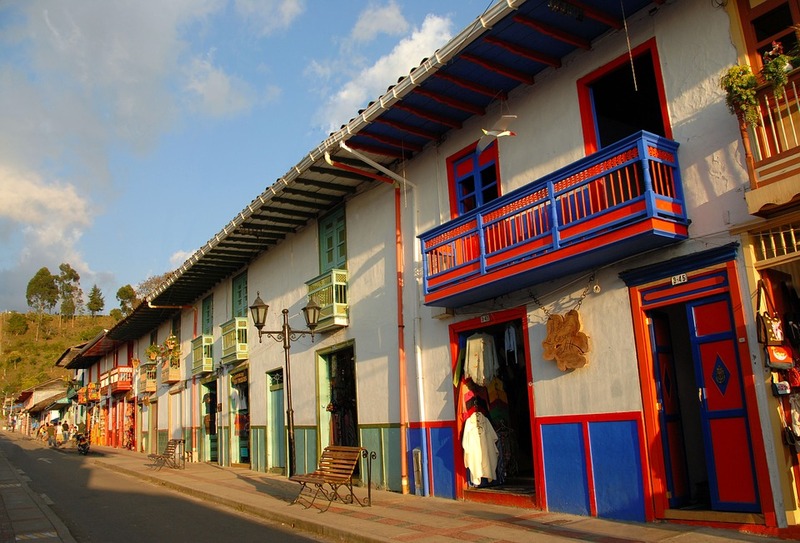 In the heart of the Colombian coffee growing region, you will find the charming little colonial town of Salento with its distinct and colorful bahareque architecture. Nestled in the the North-east corner of the Quindío department, there is much more on offer here than high quality coffee beans. I like to think of Salento as a gateway to many opportunities, which does the town itself a disservice. 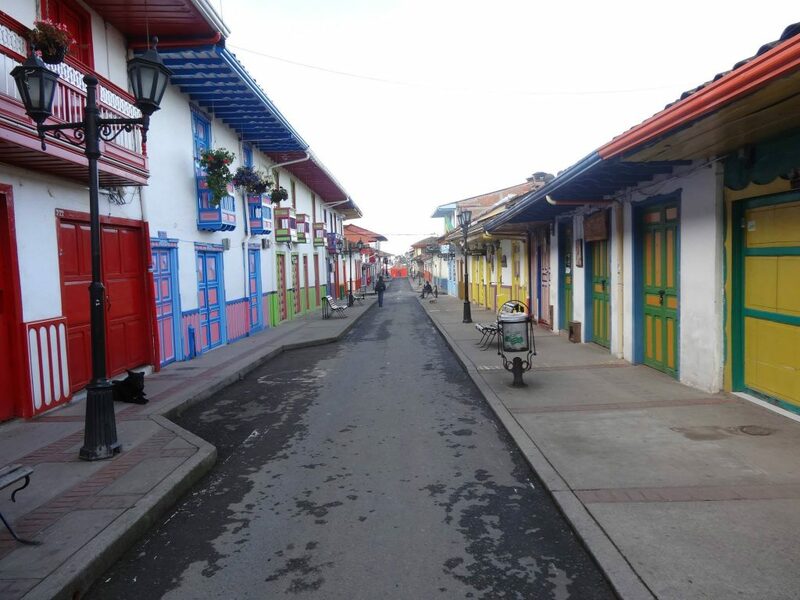 In its own right it is one of the finest examples of a Colombian market town you will find. 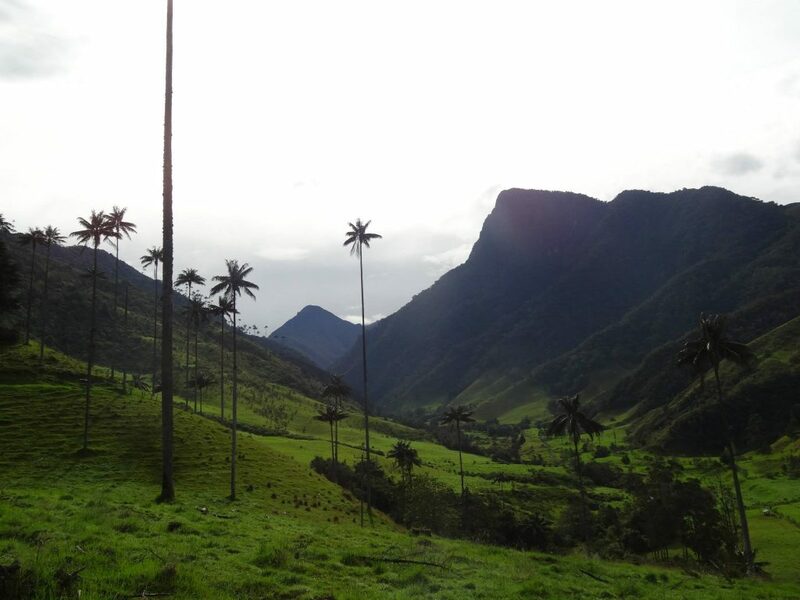 But just 11 km away to the North; along the Cocora Valley is one of the most beautiful hiking routes in the country. This has made the town of Salento one of Colombia’s most popular tourist destinations for back packers and travelers alike. 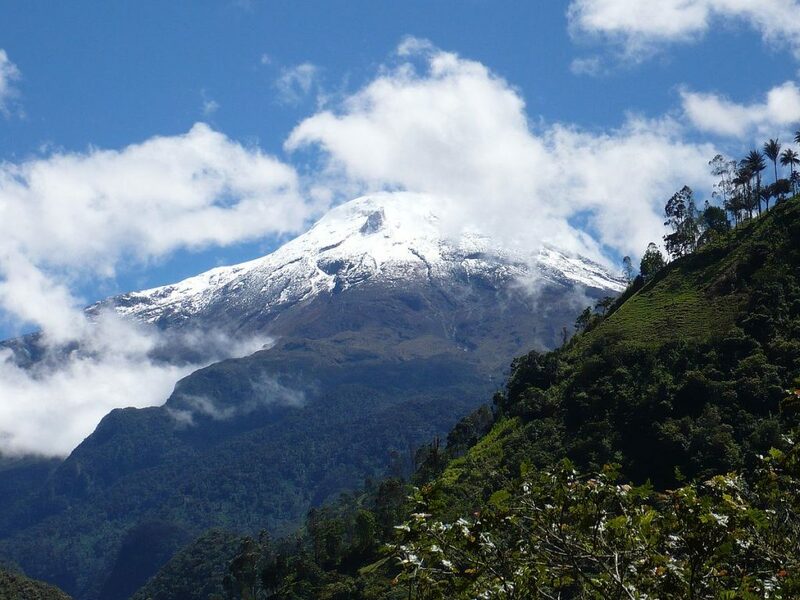 You also have access to the Nevados National Natural Park (Los Parque Nacional Natural Los Nevado) via the Cocora valley. One of the few free entry routes into the park if you don’t mind the long trek. With these treks on every visiting travelers to-do list; Salento has, for better or worse, become a tourist trap. 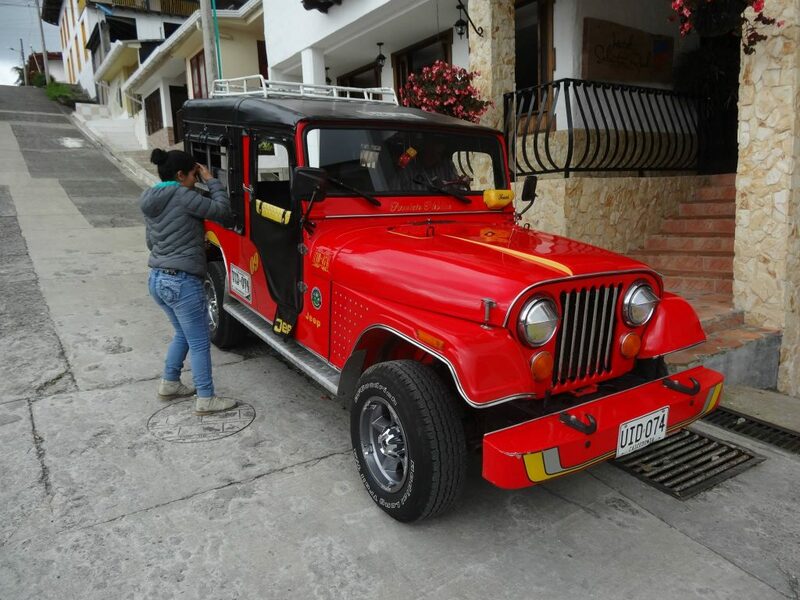 Head down to the town square early in the morning and you will find the area swamped with overseas tourists eager to catch a Willys Jeep to the start of the valley. The streets are crammed with shops selling touristy trinkets; the restaurants have started to swing widely from the Colombian norm; and there are more dedicated tourist services in this town of just over 3,500 inhabitants than in some of the larger Colombian cities. But if you look beyond that, you can still find remnants of a traditional Colombian settlement, not yet fully lost to the influx of tourism. With the improving security situation in the country Colombians are also beginning to enjoy greater access to their own country. Locals tend to flood Salento during the weekends, and during holidays. If you intend to come to Salento, a weekday excursion will suit you better if you want to catch a glimpse of the peaceful magical charm Salento can sometimes offer. There are many options available for hiking into the valley and further afield. The simplest is to jump onto the back of a Willys Jeep in the town center. For around $1 (USD) the driver will take you to the starting point of the hiking routes. Be warned the jeeps can become quite full and you may need to stand on the foot stand at the back of the jeep and hold-on. While not for the faint-hearted you will certainly get a better view of the surrounding countryside this way. For those who prefer a more dedicated service, you can hire a driver to take you all the way in an empty jeep. The price would depend on the day and time. I have paid $8-10 (USD) in the past for a personal shuttle run back to Salento. The most common hiking route is the famous valley circular hiking route which can take 5 or 6 hours to complete. In which time you will take a loop around the valley taking in all the spectacular scenery. There is a shorter route which cuts across the bottom of the circular loop, where you can view some of the best views of the valley from the bottom. With either choice of route, you will encounter the famous national tree of Colombia; the wax palm (Ceroxylon quindiuense). 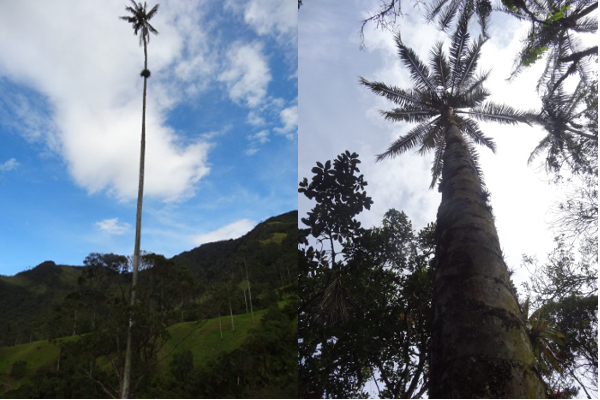 Known as the ‘palma de cera’ or ‘palma de ramo’ in Colombia, this lanky palm can reach 45-60 meters in height. It produces a wax which has been used for centuries to produce candles. The tree now has protected status in Colombia, and removing the wax from the trunk will eventually kill the tree, so this practice is now forbidden. The palm is home to the yellow eared parrot, of which you are sure to see a few. An endangered bird itself, now protected and preserved thanks in part to the protection of the palms, and through various other conservation initiatives. The humming birds are more common throughout the valley, and a humming bird sanctuary can be visited not far from the start of the looped hiking route. The more timid creatures such as the Spectacled bear, the mountain lion, and the tapirs will be a little harder to find. If you do manage to catch a glimpse of one these beautiful animals, you should feel very lucky. 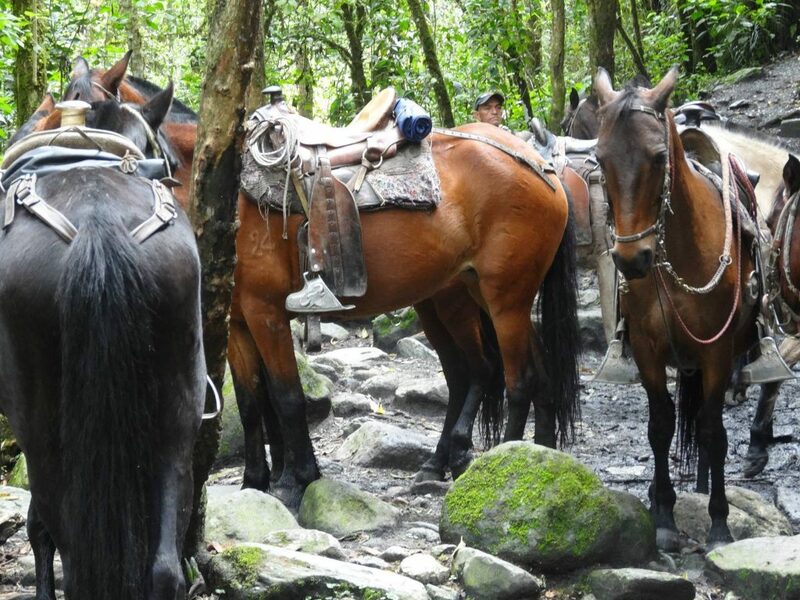 The hiking routes can also be attempted on horseback, and horses can be hired at the start of the routes. I have not attempted a horseback ride up the valley as yet, but I have seen the groups of horses being lead up the trail on numerous occasions. I have been told the trail can get a little hairy on horseback in places. Without any horse related safety equipment provided (helmet?!?) I can imagine it does. As you trek through across the valley you will see signs for the Nevados Park, and it is this ‘secret’ gateway to the park which I think makes the area even more special. Unlike other main entrances to the park, this beautiful back entrance has no entry or permit fees, and you can wander straight into the park through one of the most beautiful areas of Colombia. To access the park though, takes a little more effort, and we would strongly advise you to organize a local guide to take you there. It is common for Salento excursion guides to offer one, two, and three day guided hikes in the valley and national park. There are several possible routes, with the most extreme trek, taking you to the edge of the glacier at the Nevado Del Tolima. A stratovolcano, and the third largest volcano in Colombia. During these more advanced treks, you will be required to stay overnight on the mountains, with mountain families or in accommodation shacks. Salento is at an altitude of 1,895 metres, and through the Cocora valley you will reach altitudes of around 2,800 metres. For the two and three day hikes into the park you will be taken up to elevations of 3,500-5,000 meters, to give you some scale of the trek. The excursions organised from Salento can also contain a tourist premium. If you check the price list of a guided tour through the valley you may find the price is lower for a Colombian national, and some tourists take offence to this practice. You can look at it one of two ways. The locals are unfairly taxing tourists, because they see them as a commodity to be milked. Or that the Colombians are offered a discount to enjoy their own country, and to allow the lower income families to enjoy the local facilities. I suggest the latter approach. It’s nice to support the local community, even if it does feel more detached these days. But the increased exposure to tourism that has seen the rapid change in Salento, will also take its toll on the local environment and the valley if responsible tourism is not practiced. Many of the young backpackers that visit the valley shirk at the idea of a guide. Let your pride take a hit and hire a local guide even if it is only for the looped route. For sure they will be able to keep up with your pace, whether it be slow or fast, and in most cases you will be supporting a local student through their studies. But most importantly they will almost certainly teach you a thing or two about conservation, which is what the Valley needs most. In time this ‘secret’ gateway may have the same checkpoints, and permits systems as the other entrances if we don’t treat it with the respect it deserves. On descending from one of these challenging hikes, you can reward yourself back in Salento with a famous Salento trout (Trucha de Salento). Fished locally in the valley you can find them cooked in a wide variety of sauces, served with a large pancaked patacone. 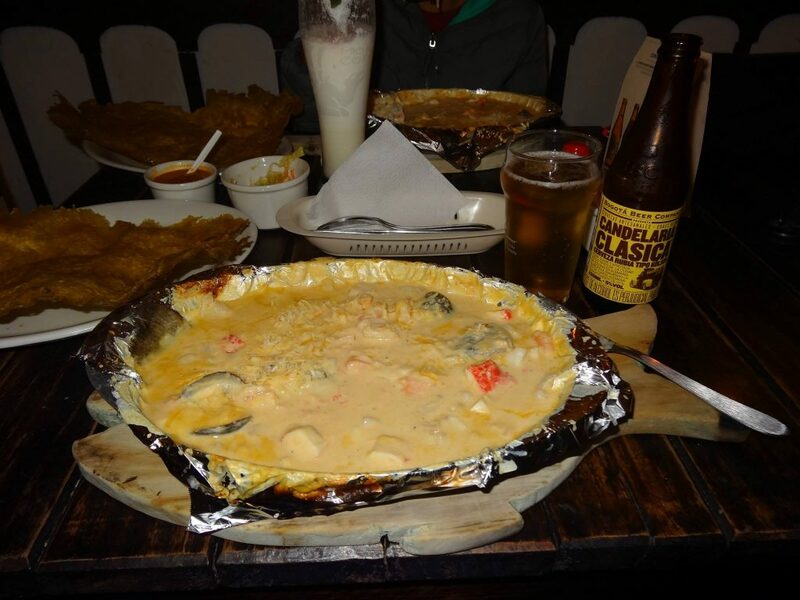 The restaurants may have lost some of their Colombianisms, but the food is still mostly traditional. Along the main shopping street in Salento, the Royal Road (Calle Real), you can find pretty much any traditional or hand crafted product Colombia has to offer. If you shop around you can find some very good quality artisan products, but you will be paying the ‘tourist premium’. As always you can barter for a better deal. To the North of the Town, at the far end of the main shopping street, you will see a hill with a lot of steps. These steps will take you up to the Alto de la Cruz, and on a clear day will give you incredible views across Salento, the valleys and mountains. Where to Stay in Salento? Despite only living 23km away in Pereira, I sometimes stop over in Salento. My usual choice of accommodation is the Hotel Salento. The Hotel Salento is a 300m walk from the main square, and roughly the same distance from the mirador de Salento and the amusement park. You can see my wife outside the hotel in the above picture after we were dropped off in the red Willys Jeep. You will great a decent breakfast with excellent local coffee. Free wifi, and there is a parking area if you have a hire car. If you are looking for a holiday home then the Casa Campo may be more to your tastes. This three bedroom cottage can sleep up to nine people in four double beds and a sofa bed. Unfortunately, it does not have internet access at the property, and its is 2km from the centre of Salento. But with a sauna, BBQ with outdoor eating area, and mountain views, who needs the internet? The cottage is reasonably priced at $150 (USD) per night. Which would make it ideal for a large family or group of friends. There are good selection of hostels in and around Salento. If you are looking for a cheap hostel in a great location, then the Eureka Hostal is perfect. $9 (USD) a night for a bed in a dormitory room. Previous Post: Colombian Everyday Life…With a Twist. Next Post: Five Colombian Novels you MUST Read!